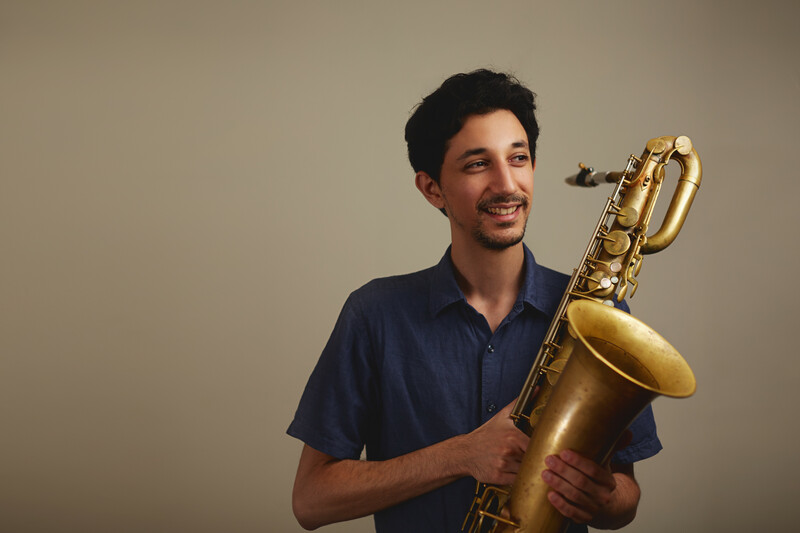 Although a relative newcomer to New York’s scene, the Argentina-born Israeli baritone saxophonist Eden Bareket quickly gained notice and esteem as an in-demand Sideman. Indeed Bareket’s collaborative projects show an eclectic streak, as is horn playing ranges from modern classic Eyal Vilner Big-Band, to the adventurous Ari Hoenig Nonet, to even the Ethiopian jazz inspired grooves of Anbessa Orchestra. As his star has continued to rise, Bareket has also woven these disparate musical strands together in his own leader project , a trio featuring bassist Or Bareket and drummer Felix Lecaros. This notably minimalist and unfussy instrumentation is utilized to the group’s advantage as the trio unveils a set of sparsely funky, often dark-hued to grooves, all while stretching out their positions into very open territory.